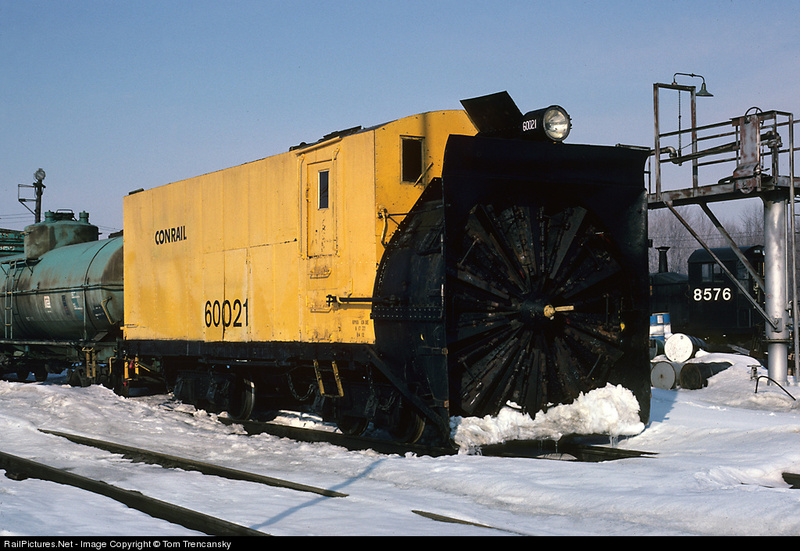 Can anyone advise if the Conrail (ex-NYC X-659) Cooke rotary snowplow that was last assigned to Frontier Yard in Buffalo made it to be preserved. I understand it was retired by the CSXT shortly after the merger. I have the file out of our Mechanical Engineering office that details the 1950 NYC steam to electric conversion as well as the Conrail 1978 overhaul. It occurred to me during our last round of snowstorms that the fleet of plows must be getting smaller, since nearly every museum has at least one snow plow, rotary, flanger or spreader in its collection. My question is "Are there new railroad snow plows being made, or are the small plows on a handful of locomotives sufficient?" The weather is definitely something a railroad can not avoid. Any answers? The last Jordan Spreader that I know of was custom built for the Alaska Railroad by Harsco (sucessor to the Jordan Co.). By that time Jordan Spreader production had been shut down for 19 years and Harsco had to call back thier old production manager out of retirement to act as a consultant becuase no one else had the experience making them. Snow fighting equipment does not wear out fast since it's only used a couple of times of the year and sits n a siding for most of its lifetime. I know of an ex-NP Juell Plow on the Red River Valley and Western that was built in the 1920s. 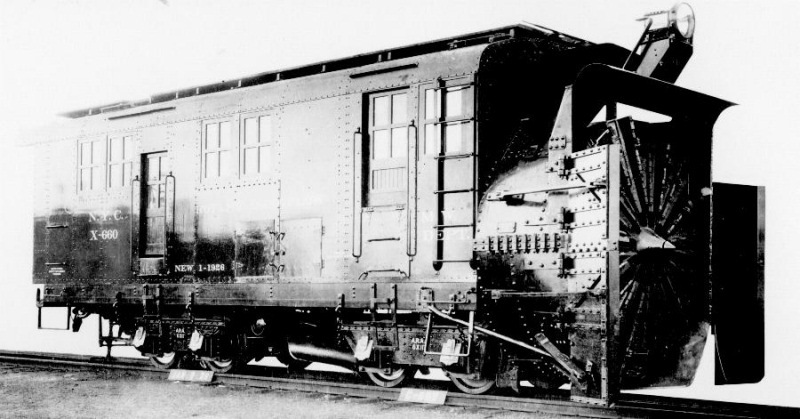 Many class 1 railroads have Russell snowplows dating to back before that. I'd guess that when it comes down to it, once the need for new Jordan Spreaders, Russel Plows and other snow fighting equipment arises, raildroads will rebuild existing ones or come up with new designs they can build in thier shops or contract out. Post subject: Last fox trucks, last piece of R. W & O. Equipment left? Dumb question I know, but there can't be too many fox-plate trucks left in existence. Could this be the last active pair? I know I've only seen them in b/w photographs before this. Also, is this the only surviving piece of Rome, Waterstown & Ogdensburg equipment left? Wasn't there a caboose out there somewhere? I can understand the conversion to roller bearings, but why not leave the cover plates in place? The plant that built Fox trucks was still standing in Joliet, IL the last time I was there about two years ago. It is quite an interesting building, utilizing limestone masonry construction. When equipment is converted from solid to roller bearings, the journal-box covers are removed so bearing failure can be detected by eye, smell, or by hotbox detectors. When the railroads reuse friction boxes, the lids are left off so that the hot box detectors are not fooled and also so that crews would quickly see that they didn't need to service these boxes. I suspect there was an AAR rule on this that eliminated the covers. No reason why they couldn't be put back on in a museum. Note that Fox Plate trucks and regular Fox trucks are different animals. As the picture of the plow's trucks shows, the plate truck sideframes are fabricated from a flat piece of steel. The Fox trucks we usually think of are pressed steel, with about a 2" flange all the way around the sideframe edge. Several years ago, I did an informal survey of surviving Fox trucks. Naturally I didn't write down the list I came up with so it would have to be compiled again. IIRC, I found about a dozen pair of Fox trucks on the continent. Only about half were still in use under a car. SCRM has a 1906 flat car built by Pressed Steel that rides on Fox trucks. I can only take the car's history back to the middle 1960s, before that it's a complete mystery. The build date is an educated guess based on a date cast into the couplers. This is my favorite car in our collection. One day, when we have a shop to work in, I'm going to attack it and do a full restoration, replacing the brake rigging and rebuilding the bearings. Feel the pleasure, touch the pain. How did this thread get highjacked from snow plows to Fox trucks? 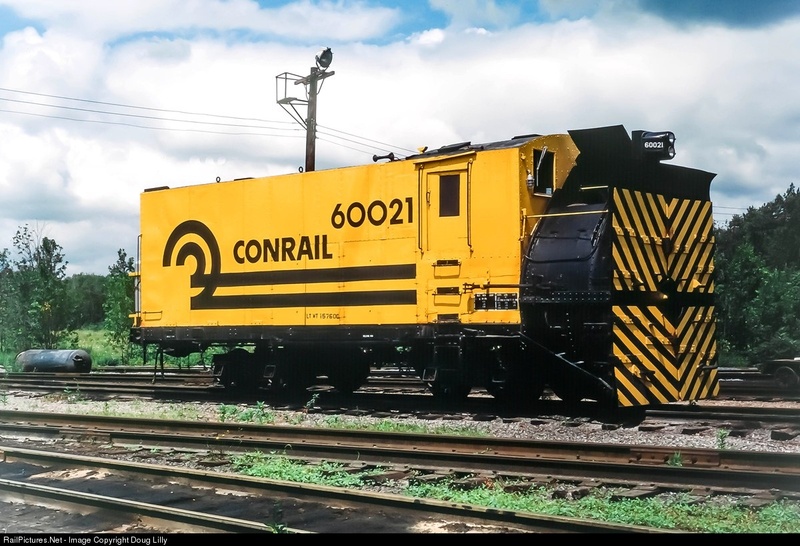 In what I've collected about rotary snowplows, I've never seen a reference to #27 surviving to Penn Central ownership, let alone Conrail. And it's the #28/X-659 that I show as becoming #60021 for subsequent owners. My information doesn't show the X-660 as surviving her NYC ownership nor any sign of being repowered with electric traction motors. I'd bet good money that the Central in the 1960's decided that two rotaries was a luxury that they no longer needed, with the much older plow being spared thanks to already having been converted.